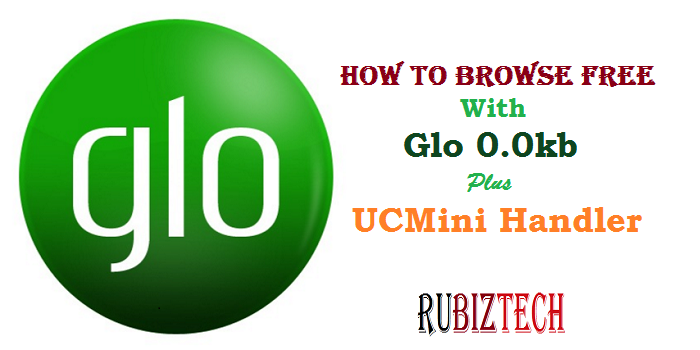 Today, we will be looking at how to browse free with Glo network using Glo 0.0k UC browser Handler tweak. In our previous article, we discussed Glo free browsing using the latest Tweakware VPN for Android. This latest Glo .0k UC browser cheat works for both PC and Android. This UC Browser Handler VPN is a modded version of Psiphon handler with some added features that makes it more stable with the Glo free browsing cheat. But unlike other free VPN, it is embedded within UC browser. This feature enables you to tweak the UC browser to suit your browsing needs. This cheat is unlimited without speed throttling and it works with 0.0 account balance just like the others. You can use it to download heavy files from the internet as you want. Then save and start browsing. muchproxy.com is a proxy server and it will rename the file you are downloading to a .php extension but no worries. Immediately download option pops-up –before downloading- rename the file by changing the .php extension to the format of the file you want to download. For example .mp4, .apk, .exe .pdf etc then continue with your download. Basically, same the settings used on android described above applies to the PC version. However, to edit any of the above settings, double click the appropriate box and input the right value into the required field. For advanced settings (not needed here anyway) Press “Ctrl+O” and you will be able to access the Settings page. But for the purpose of this Glo browsing cheat, it should be set to NO Proxy.